Beginning May 1st, there is a guideline on stroller size and all strollers must be no larger than 31″ (79 cm) wide and 52″ (132 cm) long. 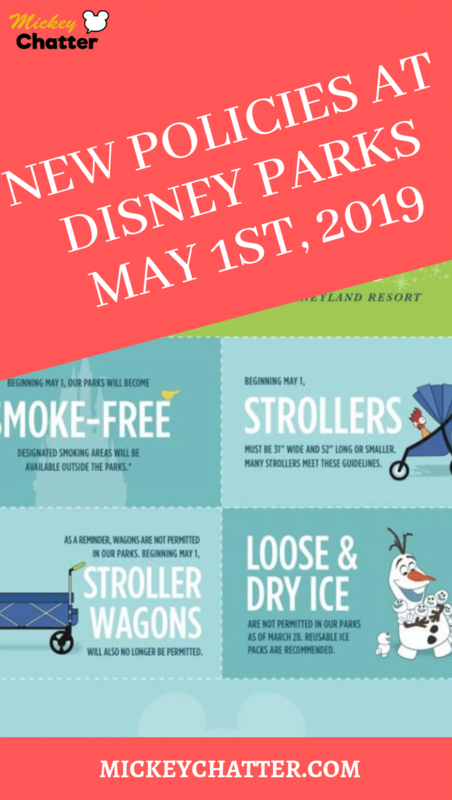 They have also adjusted their policy that wagon strollers will no longer be permitted in the parks, and this includes the popular Keenz brand that has been very popular with Disney Parks visitors. 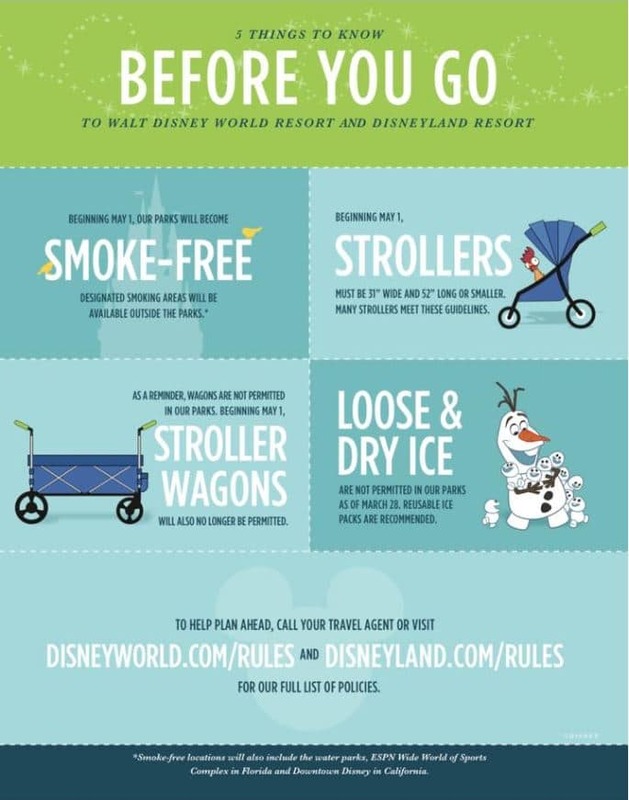 Make sure your stroller fits within the guidelines, or you will not be able to bring it in the park and your only other option beyond that will be to rent the hard plastic ones at the park. You can check out Magic Strollers for their available strollers for rent. The City Mini strollers do conform within the acceptable guidelines and they are also great strollers for the parks. Beginning May 1st, you will no longer be permitted to smoke in the Disney Parks, water parks, ESPN Wide World of Sports or Downtown Disney in California. All of the designated smoking areas inside the parks have been removed. Designated smoking areas will be outside the entrances to the parks and at Disney Springs in Florida. Smoking areas are also available at the Disney resorts. Also beginning May 1st, you will no longer be able to bring loose or dry ice in to the parks. If you are bringing a cooler in to the parks with food/snacks, make sure to use re-usable ice packs and not loose ice. If you need loose ice for drinks while in the parks, complimentary cups of ice are available at food & beverage locations inside the parks. Star Wars: Galaxy’s Edge Opening Dates Announced! FREE DINING is Available Now for Booking! Disney 2019 Winter Discounts Have Released – Book Now for Your Winter Vacation!